This is a custom oil painting that according to customer requirements, we take Marlyn Monroe, Bill Clinton, George Walker Bush, Kofi Annan, Michael Jordan and other famous people into the famous painting that Eug�ne Delacroix's Liberty Leading the People. Hand painted oil paintings with low price is produced and wholesale that it has been our traditional field.We are a professional hand painted oil paintings manufacturer from China.In China,we have own oil painting factory,there have set up dozens of specialized studios under the factory.We produce and wholesale all kinds of oil paintings reproductions, original oil paintings, wholesale portrait oil paintings and the other oil paintings types.These oil paintings were made purely by hand by our outstanding painter. In technological innovation field, We will in the international emerging markets to further develop high-quality,development low-cost and cheap hand painted oil painting. In the oil painting international market, we compare with other oil painting supplier, the price that our oil painting is cheaper. "Changes products, the same quality," It is the goal that we will pursue forever.Our own ability to create confidence in the future. Our purpose and aim is to provide high quality oil painting and high value services.As a Professional hand painted oil painting supplier.We offer our customer the good quality oil painting,the same time,offer an outstanding after-sale service for them. We will paint the paintings according to picture and idea that our customer offer, if you have not found the oil painting sample photos that you need in our catalogue, you can send your picture through E-mail.The subjects of oil painting include Portrait painting,Pet portrait,Figure ,landscape,flower ,animal, natural ,birds.The style of oil painting as realistical,abstract,ornament,modern,classical,impression and so on. These painting can be painted on board, on linen canvas,on paper and another many materials. We look forward to provide you with our best products and valuable service. we will appreciate the chance to serve you very much. If you have any try order, we would love to hear from you. We will do your every order with our supreme professional standard . 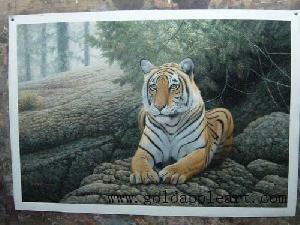 Our custom oil painting is great changes in the price, it decided by the subjects and your request. Feel free to contact us to discuss and receive a detailed quote. Thank you!